Are you a fan of This Is Us? Recently, creator Dan Fogelman revealed he knows how the NBC TV show will end, Deadline reports. The hit drama explores the connections between a group of seemingly unconnected people. 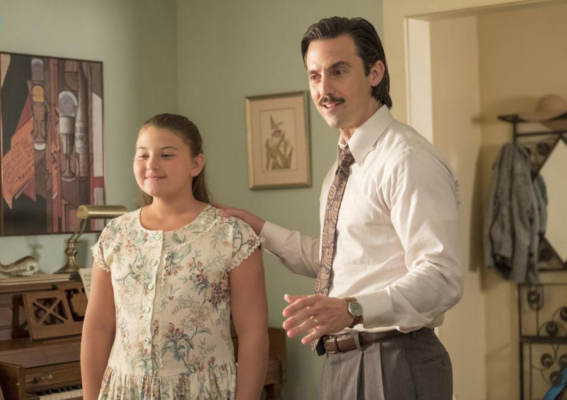 The cast includes Milo Ventimiglia, Mandy Moore, Chrissy Metz, Justin Hartley, Chris Sullivan, Susan Kelechi Watson, Jon Huertas, Alexandra Breckenridge, and Hannah Zeile. We’re pretty far out. Our writers and I are kind of to the end. We know where it ends and we have a path for each season of the show. We’ve always had a plan. We didn’t want to get stuck. We had the kids and the timelines, and had to have a plan. I don’t think this show despite any success it may or may not have, will overstay its welcome. What do you think? Do you watch This Is Us? How do you think the NBC series will end? My hubs and I both love the series. It’s one of the very few TV series that he will actually sit down to watch. We enjoy the way the timelines are intertwined and the way they blend one story into another… leading the viewer into thinking the story is about one thing, but all of a sudden there’s a little twist and then you then realize it was about something else. I’m sad to hear that the show will be ending after only three seasons. Season 2 was far off th e quality of the first season. So I hope season 3 is much better. All the angst and self loathing made season 2 intolerable to watch at times.